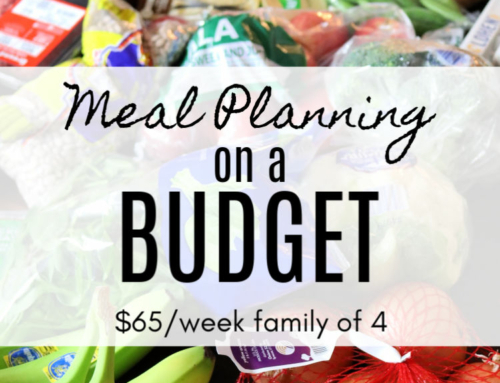 Grocery budget challenge for a family of four. 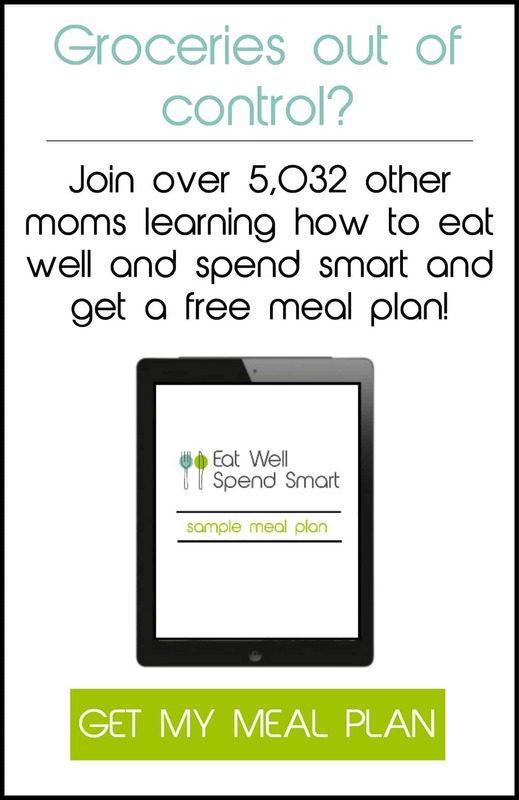 All “real food” and approachable meals for families. 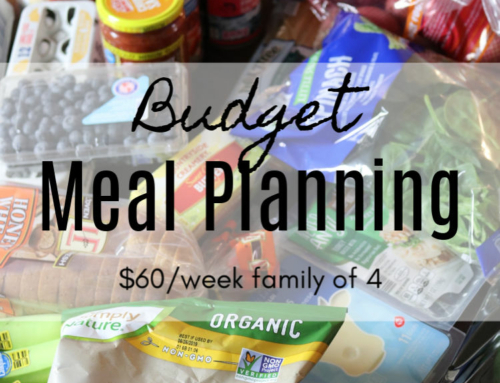 See what one family ate for a week on a budget. 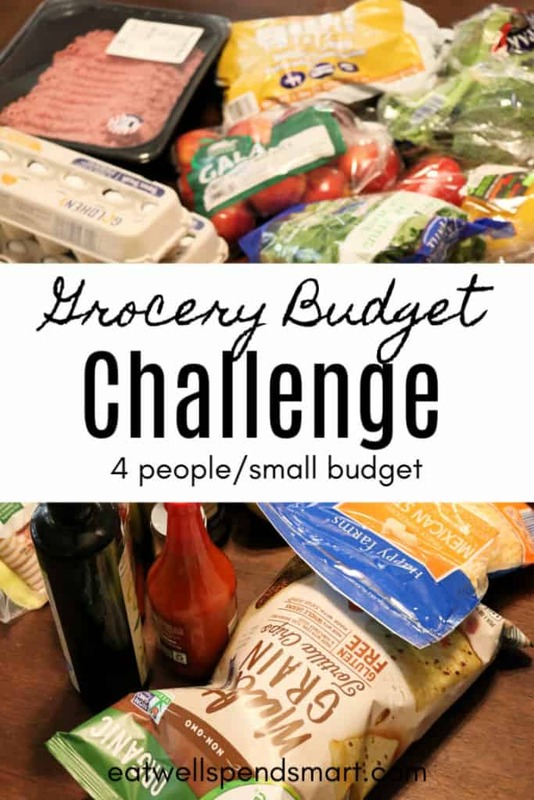 I almost didn’t publish this week’s grocery budget challenge because life happened and I didn’t stick to my budget, but I decided to anyway because I like to show real life. I also don’t consider this week a failure because we still kept a decent budget. We had an extra child that stayed with us for 3 days so I already knew that my grocery budget would have to be a little higher. 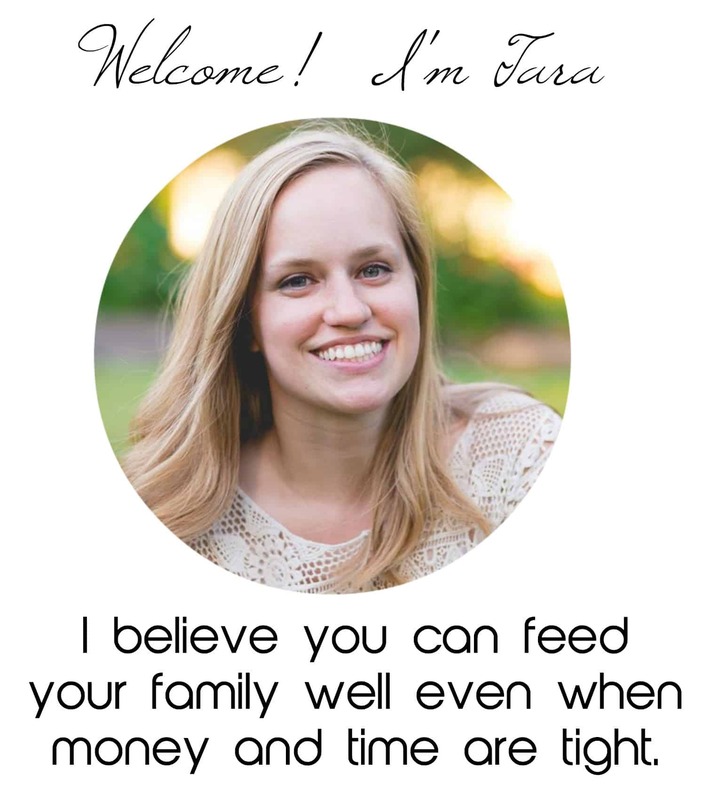 Feeding an extra person for nine meals is going to require a little more cash, so I allotted myself another $20. I’m comfortable with stretching things with my own kids and feeding them random lunches, but it’s a different story with someone else’s child. We loved having her here though! Friday night we also went off the rails and I ordered pizza and wings. We had a 50% off coupon and $10 off rewards so the total for two large pizzas and wings was around $20, which I thought was pretty good. 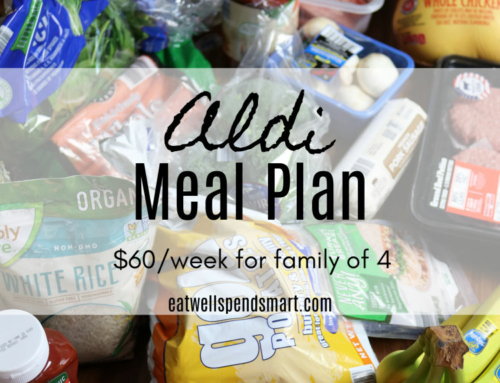 Again I shopped at Aldi this week. I will share another store next week because I know many of you are wanting me to show another option. I was not organized this week and it showed. I talked to my mom on the phone while I shopped instead of with my calculator so I went over budget. I also prepped nothing as far as snacks and breakfasts, which hurt me for the week. The only thing I did preparation wise was to divide the bulk ground beef and chicken breasts into smaller portions. I was able to save about half of it for upcoming weeks, which will be great for the future. Just like the last three weeks, we eat what sounds good to us in the mornings. I typically make a large batch of pancakes to reheat throughout the week and we will add eggs, bacon, fruit or oatmeal as needed. This was a 15 minute meal. First I sliced and browned the sausages. 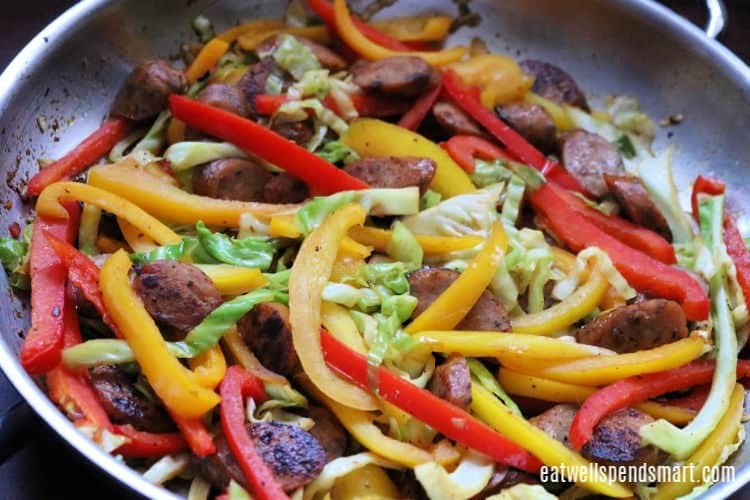 Then I added sliced peppers and half of a cabbage, sliced. Because we like some spice, I added Cajun seasoning, salt, and garlic. 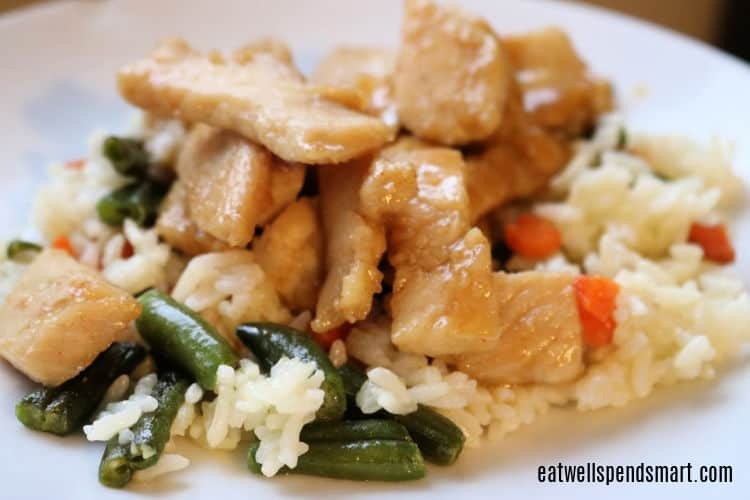 My family loves this easy meal, but that sadly meant I didn’t have any leftovers. 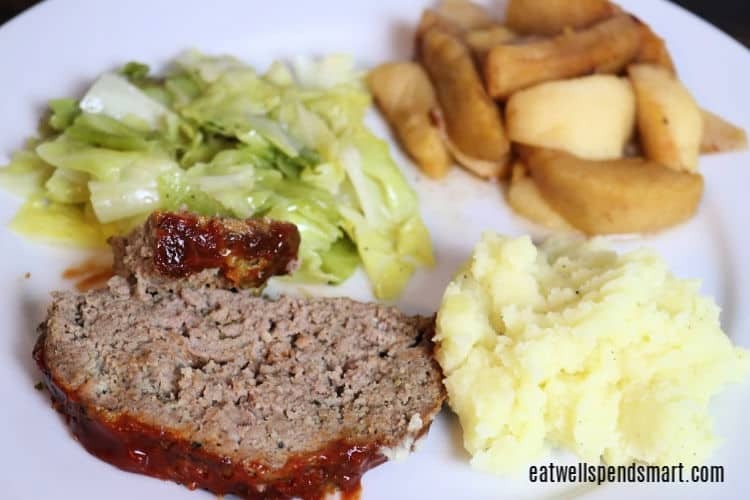 We were particularly hungry this night so I made sure to have a lot of sides so we would have meatloaf leftovers. I normally make a fancier sauce for the top, but I didn’t have the ingredients so ketchup was the topping. No one complained. I sautéd the second half of the cabbage while the meatloaf was cooking as well as made some mashed potatoes. The apples were frozen ones that I had preserved from the fall and I sprinkled them with cinnamon and a little bit of sugar and put them in the oven. I wish I had waited to put them in the oven after the meatloaf had cooked because my oven was a little smokey, which gave the apples a smokey flavor as well. I made this recipe up and it turned out well. I cooked the cut up chicken in olive oil and then added garlic, ginger, honey, red pepper, salt and fish sauce. The frozen green beans and chopped carrots were sautéd in a separate skillet and seasoned with garlic, salt, and pepper and mixed with rice. Again, no leftovers. This is always a crowd pleaser at my house. 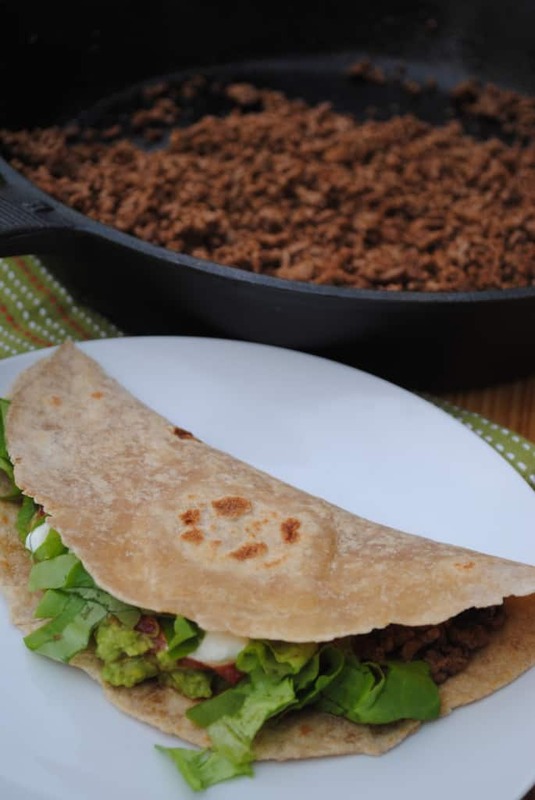 The taco meat was made with my own taco seasoning and I served it with Instant Pot Mexican rice. There’s no picture of this. Just standard takeout pizza and wings with our guest. These were made with gluten-free flour and were super delicious. All of the kids loved them, even our guest and we even had leftovers. I’m glad you found them helpful. I’m just wondering how old your kids are. 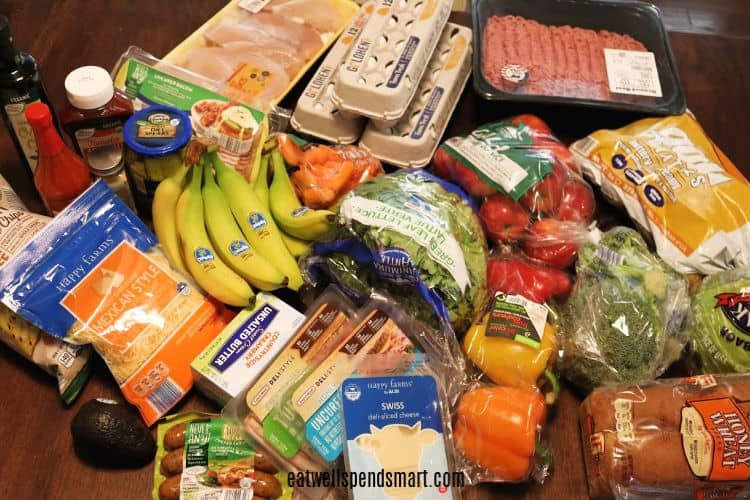 We have two teens right now, and that has really affected our grocery budget! 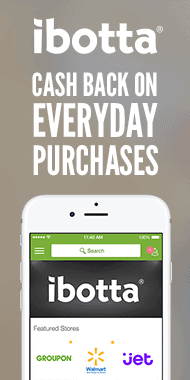 Oh yeah, teens will absolutely raise your grocery budget! I feed a hungry group of teens every Sunday night and always have to make more than I expect. 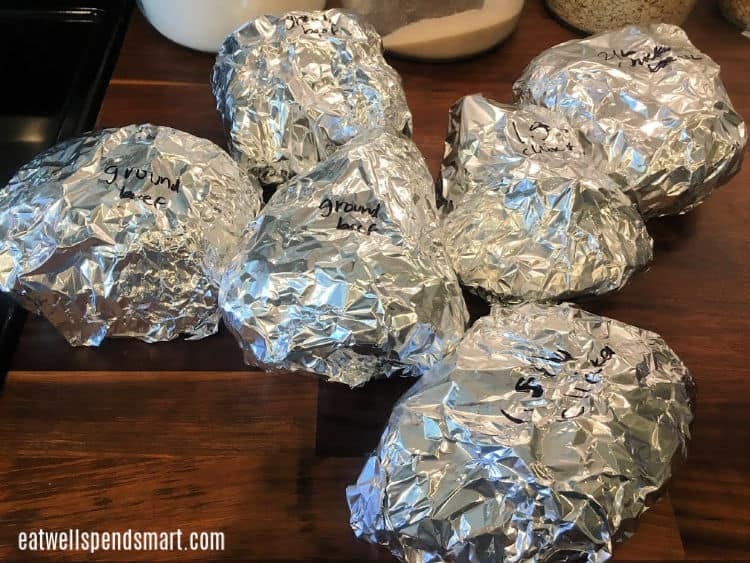 We had build your own sub sandwiches last week and some of them ate three six inch subs! We also had chips, rice krispy treats, and fruit salad. It’s amazing how much food they consume. 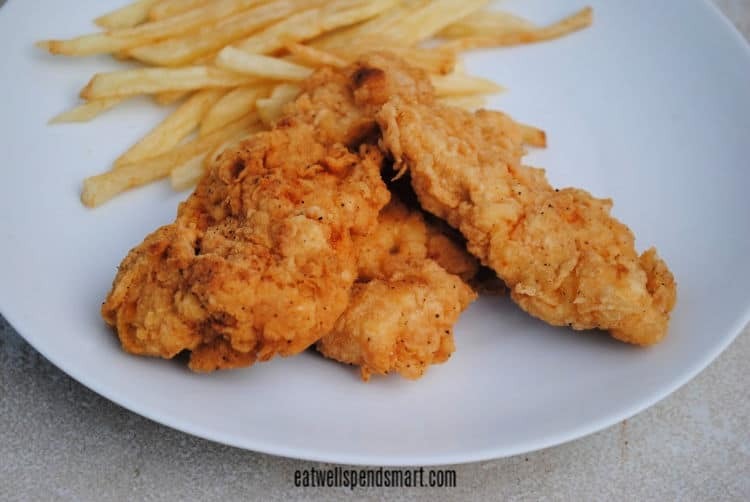 My kids are 10 and 8, and I think pretty big eaters compared to a lot of their friends, but they still don’t have teen appetites. I really load them up for breakfast since breakfast food is pretty inexpensive. It’s not uncommon for my daughter to have 2 eggs, a bowl of oatmeal, and bacon in the morning. My son ate two breakfast burritos this morning. For dinner, I do offer extra fruit or really any other no-cook sides in my fridge that can help fill in the hungry gaps. 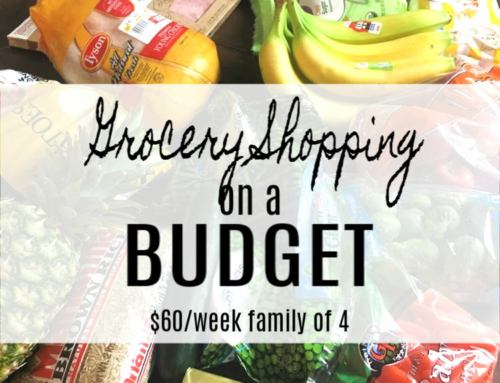 And just so I’m clear, $60 is not where my normally grocery budget is. 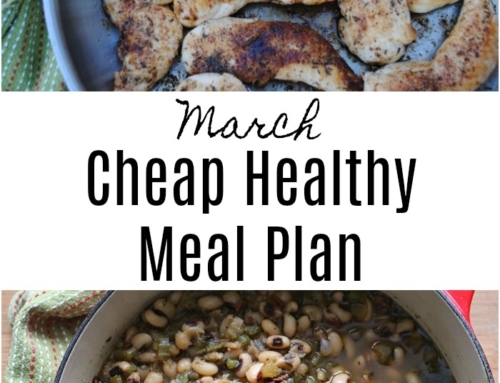 It was just an experiment to see if we could still eat well on that lower amount. I hope that helps. Thanks for the comment, Lesley!